Combine Cash Register Counter with any of our fully modular counter units to create a complete service counter to fit your store`s needs. The Locking Drawer Cash Register Stand has a recessed top to hold your register. 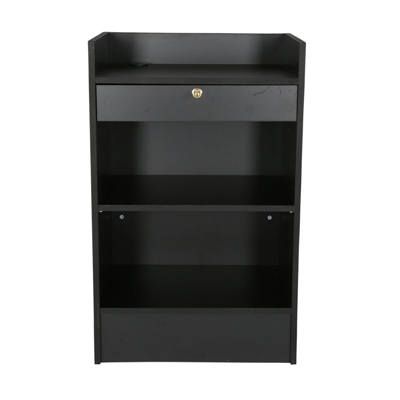 Feature a cable hole on the top, this Cash Register Stand has shelves and a drawer for extra storage. Drawer includes lock to protect contents inside. The Cash Register Stand ships knocked down for lower shipping costs.